Labor Day Weekend generates many sounds and images—kids heading back to school, last weekends “up north” at the cabin, a final concert at the park bandshell. 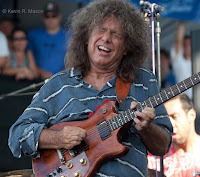 And for me, the Detroit Jazz Festival, four nights and three full days of music on four “main” stages, with a schedule jammed so tight you have to make some very painful choices (so do I hear Pat Metheny or Fred Hersch? Dave Binney or Uncle June with Craig Taborn? Joe Lovano or Tia Fuller?). Personally, since the sets are somewhat staggered, I try to get to the first part of one and the second part of another to the extent possible. Choosing what music to hear in the Twin Cities is not usually so full of conflicts, but there are nights when it seems you need to say, “Beam me up, Scottie” to get to all appealing gigs. So here’s what I will miss this weekend, and what I can check out midweek when I return. August 31-September 1. 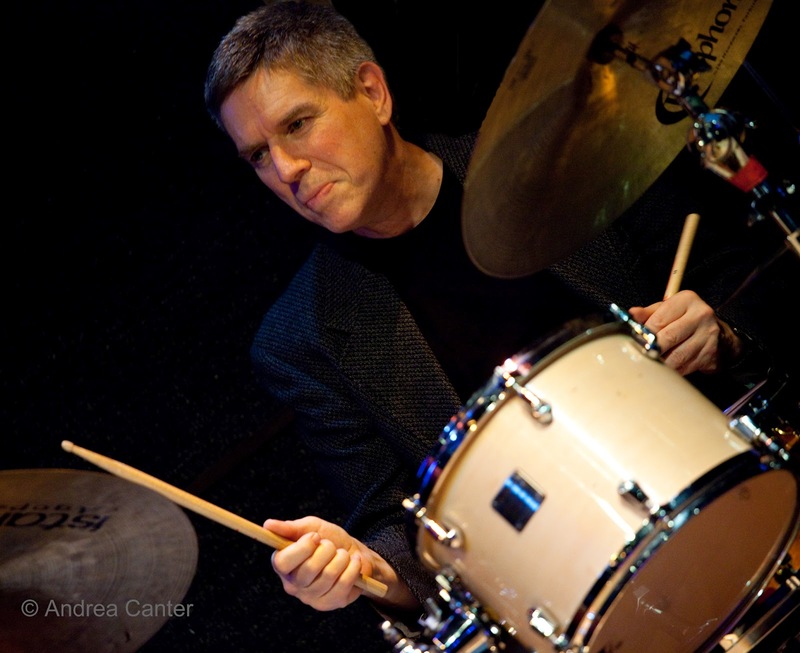 The Phil Hey Quartet is turning up on weekends at the Artists Quarter more often, although they continue to hold a nearly monthly show on a Thursday night. They certainly deserve the bigger weekend crowd as one of the area’s standout jazz ensembles, one that has been turning up the heat on modern jazz standards for about a decade, as well as presenting original compositions. Instrumentation is Modern Jazz Quartet (with Dave Hagedorn’s mallet virtuosity at the core) but the arrangements, and playlists, go far beyond MJQ’s swinging bebop, exploring works by Coltrane, Shorter, Miles, and more. At the hip Icehouse, dinner sets with Bryan Nichols and James Buckley should pull in the over 30 crowd while still appealing to the younger generation. This is not piano bar music! Bryan and James can cover just about anything but are best known for their inventive takes on familiar and unfamiliar works of modern jazz composers as well as their own original material. Intimacy for curious listeners. September 1. This is too intriguing to pass up… although I guess I won’t be within 500 miles. Maud Hixson with Dean Magraw and Jay Young? 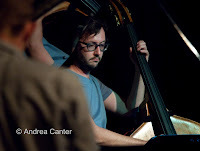 Cool cabaret intimacy with sophisticated strings; and with Dean and Jay, there has to be a touch of humor and conspiracy. They perform at Parma in Bloomington. September 2. A few years ago the jazz community came together to celebrate Leigh Kamman’s retirement as the voice of The Jazz Image, the long-running NPR program featuring interviews and commentary as only Leigh could do it. 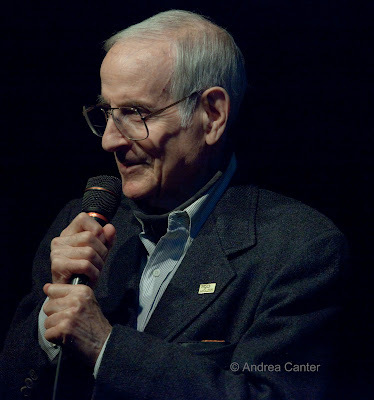 Now he’s celebrating his 90th birthday with a bash at the Artists Quarter (6 pm), with friends Carole Martin, Pete Whitman (with the X-Tet) and Brad Bellows spearheading the musical tributes. For sure there will be more musicians on hand and no doubt Leigh will have a few words to say himself. A great celebration for the man who defines the best of jazz broadcasting. September 2-3. 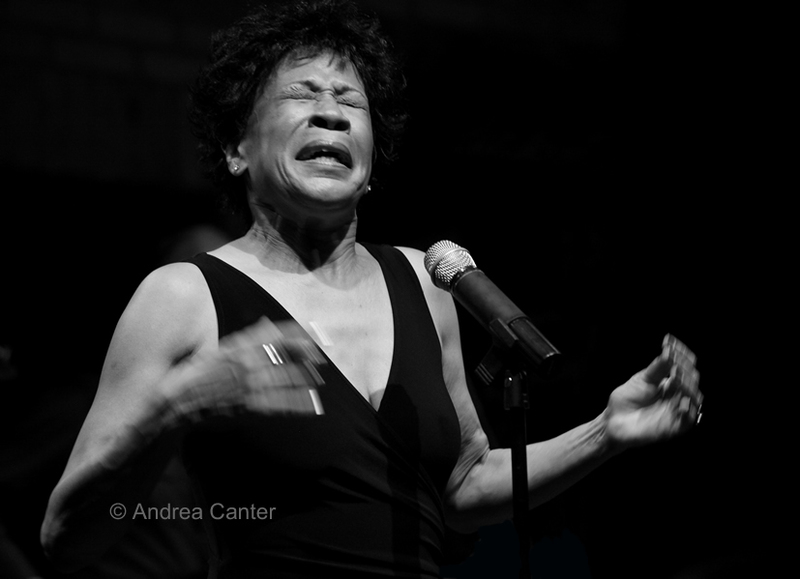 This stretches the definition of jazz – really, Bettye LaVette is the “Great Lady of Soul,” but her bluesy storytelling has long appealed to jazz audiences and locally she has made the Dakota a second home. But for these two nights you can hear her for free once you pay your admission to the Minnesota State Fair, where she appears at the Linnie Stage. Not sure I can quite imagine how she will deliver her most soul-wrenching tales in the context of corn dogs and tractor pulls, but as a consummate entertainer, I’m sure she will pull it off. September 4. Tuesdays are becoming showcase nights at the Artists Quarter, with bassist Billy Peterson and AQ owner/drummer Kenny Horst inviting one or two guest artists to join them in an evening of unpredictable jazz joy. 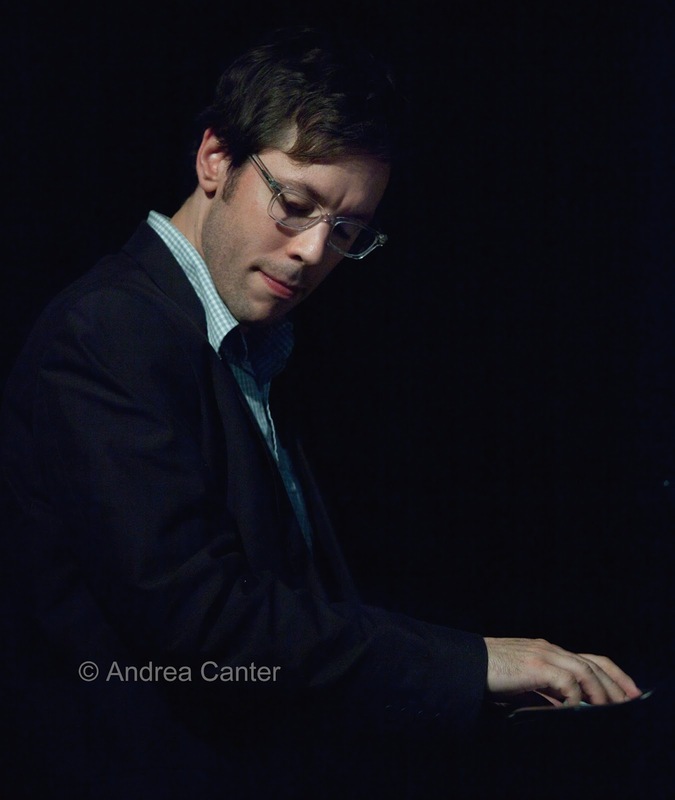 Tonight, pianist Bryan Nichols makes it a cozy and creative trio, following the usual opening mayhem of the Cory Wong Quartet. Adding to the festive feel, each Tuesday in September will feature a drawing for a class set of CDs in between the prime time show’s first and second set. This week the winner receives a Max Roach set (8 albums on 4 CDs). September 4-5. 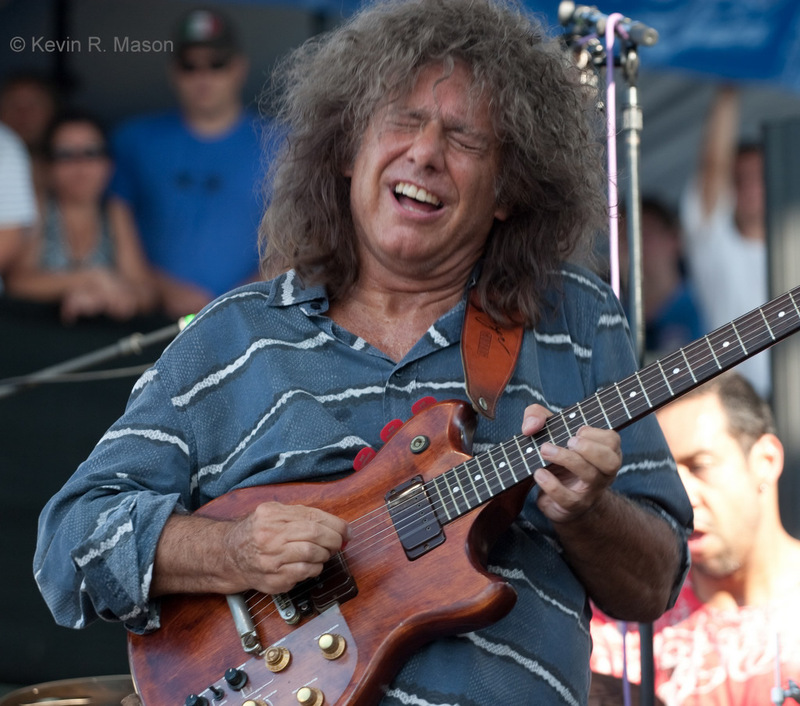 Pat Metheny waited three decades to put another horn player in the front line of a band. Chris Potter now joins the very elite circle –with Dewey Redman and Michael Brecker—as one who has collaborated with the reigning king of jazz guitar. With Potter in the new Metheny Unity Band are Thelonious Monk Competition-winning bassist Ben Williams and one of the world’s leading drummers, Antonio Sanchez. 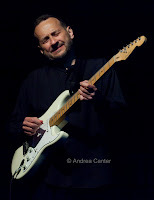 I’ll get a taste of the music in Detroit before the quartet arrives at the Dakota for two nights, four sets. Yes, this is one of the most expensive jazz shows ever at the Dakota, but the line-up speaks for itself. And I would really rather hear this music in a jazz club setting than an outdoor stage with an audience of thousands. Although that is cool in other ways! September 5. 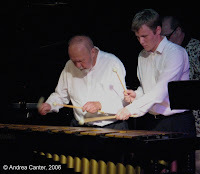 I remember about five years ago there was a gig at the AQ dubbed “Marv Dahlgren and Friends.” Among the “friends” appearing on stage with the retired Minnesota Orchestra percussionist/master educator was his grandson, an up-and-coming vibraphonist named John Dickinson. Tonight they reprise that gig with more family and friends. Expect some dueling vibes and all sorts of fun. And come early, the fun begins with Steve Kenny and the Bastids at 7 pm. September 6. Speaking of fun, how about a quintet headed by two trombones? That would be Valve (Brad Bellows) Meets Slide (Dave Graf) at the Artists Quarter. And you can start the evening in Lowertown where the Concrete and Grass Festival gets underway at Mears Park, with Jack Brass providing the jazz set. This talented band provides a playful opportunity to introduce someone to jazz as well as guaranteed entertainment for anyone already a fan of the music. Monday, September 3. 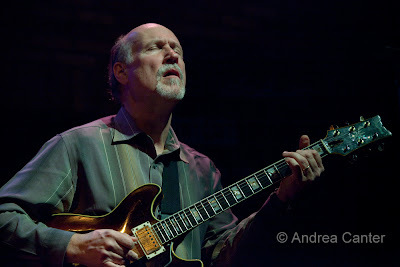 Duke Robillard and Davina & the Vagabonds at the Dakota; Jazz Implosion at the Icehouse; Nick Daley at Jazz Central. Note Artists Quarter and Fireside Pizza are closed today.